There are quite a lot of top things to know about visiting Valparaiso. Valparaiso is a city in Central Chile which is located near the Pacific Coast. The city is known for its colorful houses, bohemian traditions and scenic views. In the year 2003, Valparaiso was recognized as a UNESCO World Heritage Site because of the city’s improvement through the years, not to mention their magnificent architecture, which stands as some of the best in South America. One of the top things to know about visiting Valparaiso is that they have a famous ride called the “ascensores”. This is like a cable car that helps them get on the top side of the town, since Valparaiso has a hill-like landscape. Through which, people can be able to see the whole view of the town without taking on the pain that hiking may bring on their feet. Tourists can fully get to appreciate Valparaiso’s scenery through this ride. These ascensores will also help the locals as they were the one operating the said inclines. Among the top things to know about visiting Valparaiso is that they are known for their magnificent architecture. This city has wonderful museums and churches. Visiting the Matrix Church will be an absolute experience since this was dated in the old times and you will definitely see how old churches look like. The facade and the interiors are well-preserved that are really interesting to visit. Apart from this religious sites are the museums which have many artifacts and remnants dating way back in the times of war. Since the place is also near the coasts, tourists can also visit Plaza Sotomayor in which they can view the wonderful bodies of water in a harbor and learn about the historical seaports with their families and friends. Valparaiso is also well loved for possessing some of the most beautiful scenery in the country. Paseo Gervasoni is one beautiful place where people can view the bay and the port area. Around the area are various restaurants, bars and cafe which tourists can devour to or perhaps take a rest from their long walks. Truly, this is a place to enjoy the scenery as well as relax in its tranquility. Lastly, the festivals are one of the top things to know about visiting Valparaiso. Tour-goers should visit on the last week of December as the city holds a yearly carnival wherein they invite different countries to perform and showcase their cultures through dances and various performances. This is absolutely the time of the year wherein people both locals and tourists gather especially during New Years Eve because Valparaiso showcases firework displays; and take note that they are on the top five list of countries with most beautiful fireworks displays. 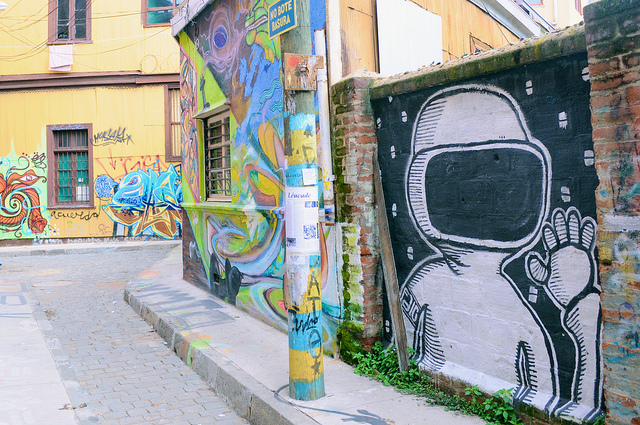 Hence, when you visit Chile, do not miss to check on Valparaiso.